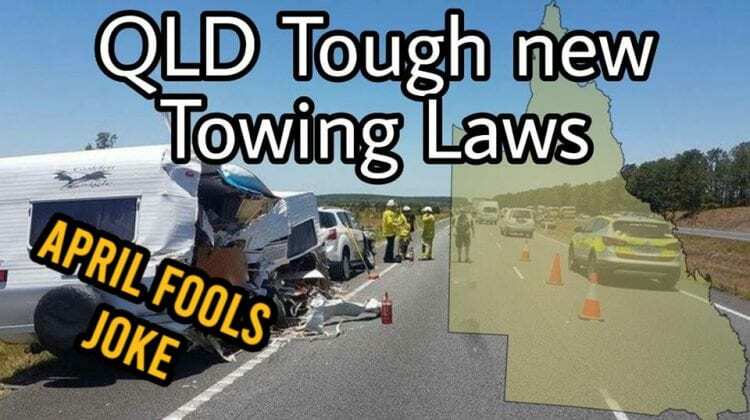 On April 1st, we made a joke about towing licences, however it seems a lot of people agree with us. What are your thoughts on the matter? Night Armour offers over 10 years of heritage and experience in LED Lighting innovation. Welcome to a more affordable LED Lighting brand, backed by an Australian 5-year warranty. The Night Armour Synergy LED Driving Light instills the latest technology, at an affordable price. Designed to make light work of the night drive ahead. The Night Armour Summit LED Headlight Bulbs allow for seamless ‘Plug ‘n’ Play’ installation. Designed to make light work of the night work, the all-new Spotter LED Work Light range has literally thousands of uses. The HIKEit X9 Throttle Controller is the most advanced controller on the market and designed specifically To “wake up” your car by reducing throttle lag and improving the response time from your vehicle’s “fly by wire” accelerator. Best of all, the X9 is Plug & Play! In addition to Automatic Mode Selection which will intelligently learn your driving style and the current situation and adapt the mode to suit, the X9 has 4 different control modes: Eco/4×4, Cruise, Sport/Tow, and the Highest Performance mode, HIKEit mode. Each of the 4 modes has 9 different adjustable levels available for selection. Sick of the old tired seats in your 4×4? Stop rattling your bones apart and invest in some awesome Falcon or Commodore seats for your 4×4! Fit them legally with the awesome Huracan Fabrication seat adaptor kits! Do you want to get the absolute best out of your 4×4? Then these Intense Packages are exactly what you need. We’ve bundled together the best products that we offer into a bundle so that you can get the most out of your rig! So if you have just bought your first 4×4, or planning a complete overhaul of your setup, then check out the Intense Vehicle Packages today! Nothing better than setting up camp at the end of the day, that is, unless you have a cold beer with you. Make sure the beer stays cold for your adventure with our range of Fridges! 4WD DIY is a small business currently based out of Brisbane, however we ship a wide range of 4WD products from various warehouses all over Australia so that we can get the best deals on the best products for you! We do a heap of videos, so be sure to pop over and check out the 4WD DIY YouTube Channel! These can be anything from Offroad videos, to videos on our products, such as installation videos. We’re always keen for ideas for new videos, especially our “Show us your Rig” series, where you get to show US and the rest of the world, YOUR 4WD and all the work that YOU have done to it to make it unique. We understand the pride in your car, and we believe the whole world wants to see it too! If you want to see heaps of awesome stuff that we post daily, please feel free to like us on Facebook and see what we get up to! Send in your pictures to us to be featured on the page as well! We also share discounts deals all the time, as well as a Product of the Day via Facebook, so don’t miss out on seeing what we find on the store for you!